If you’re looking to get some last minute shopping delivered or you would like to send loved ones their Christmas presents, it’s important to know the last day before Christmas the courier you would like to use delivers on. 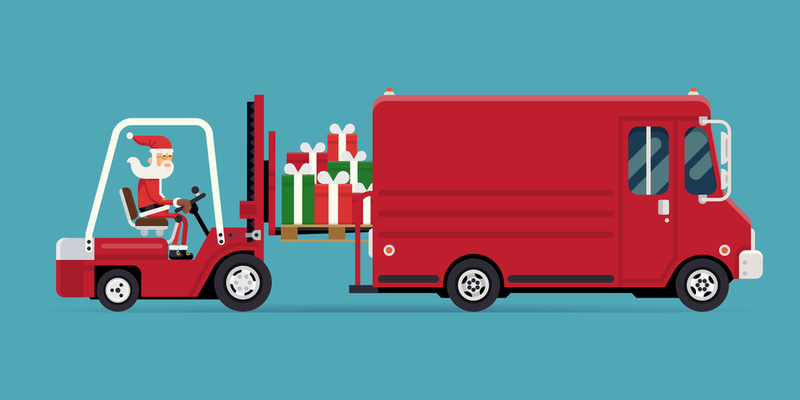 On this page, you’ll be able to find out the last Christmas delivery days for couriers to make sure your parcel is delivered on time. If you’re shopping with an online store and they use one of the below couriers, it does not mean that they will deliver up until the individual courier last Christmas delivery date as the shop may stop preparing orders multiple days before the last delivery dates of the couriers. Check with the online store you’re buying from when you are purchasing the items when their last delivery dates are before Christmas to avoid disappointment. The last day you can send your 2nd class letter/parcel and Royal Mail Signed For 2nd class parcel/letter is the 18th of december for it to be delivered in time for christmas. If you’re going to send your letter or parcel with 1st class, Royal Mail Signed For 1st class or Royal Mail Tracked 48 you need to send your package by the 20th of December for it to arrive in time for christmas. If you are sending the package or letter with Royal Mail Tracked 25 you can send it on the 21st of Decemeber for it to arrive on time. If you would like to send your letter or parcel with Royal Mail Special Delivery Guaranteed you need to send it on or before the 22nd of December to make sure it arrives before Christmas. The DPD Christmas delivery schedule tells us what days they will be closed and not delivering this year around Christmas. On their website you can see the dates for each area of the UK (England & Wales, Scotland, Northern Ireland) as well as the dates for the Republic of Ireland, Isle of Man and Channel Islands. If you’re sending a parcel to one of these places it is important to check when they are closed over Christmas. For England and Wales theyre CLOSED on Christmas Day and Boxing Day, they’re also closed on New Year’s Day. As long as you send your parcel in time for it to arrive on or before Christmas Eve your parcel should arrive, this means sending your parcel on either the weekend before Christmas or the Friday before Christmas just to be safe. Yodel has a few non-service days in which they do not usually work, these are usually Sundays around busy times but if there is a high volume of packages they will deliver to help with volume management. The non-service days in december are the 16th of December and the 24th of December. They’re CLOSED on the 25th of December and the 26th of December. Deliveries will be taking place as normal from Monday the 17th of December and Sunday the 23rd of December. Hermes otherwise known as MyHermes recommends that you send your parcels with plenty of time to spare to avoid the disappointment of an after Christmas delivery. You should allow 3-5 working days for your parcel to be delivered after the courier picks it up and 2-4 working days after you have dropped your parcel off at a ParcelShop. You can track your delivery online to ensure it will be delivered in time. The UPS holiday schedule allows for the UPS Holiday Season Guarantee which means you will get your money back if the delivery was not in accordance with the normal delivery times throughout the holiday season. This guarantee does not apply with certain delivery options made on Friday the 21st of December as the delivery dates are known to be after Christmas. These delivery options are: UPS Express, UPS Express Plus and UPS Express Saver which will be delivered on the 27th of December to most addresses within the same country.